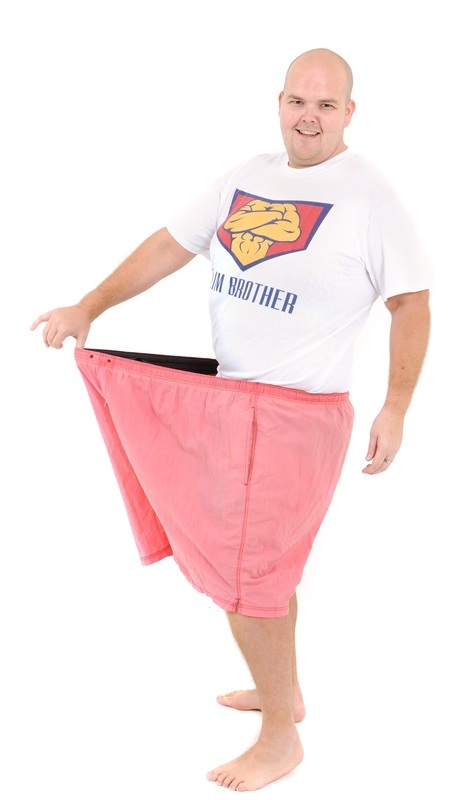 Holistic Lifestyle Coach Jody Bunting is Slim Brother. Jody used to weigh 31-stone until he made lifestyle changes in 2001 and halved his body weight, whilst presenting diet and fitness sessions to celebrities on Channel 4’s The Big Breakfast UK TV show. The father-of-one, who was born on 27th January 1978 in Burton-upon-Trent, East Staffordshire, grew up in the village of Hatton, South Derbyshire and has a natural happy and positive attitude. Jody is an award winning registered exercise professional and was inspired to study holistic health and nutrition with the CHEK Institute (USA) in 2008, after a life changing visit to the poor North African villages of Upper Egypt, where he found the people their to be happy and healthy. Jody has been coaching overweight clients since 1994. When he was aged just 16-years-old, he led aerobics classes for his large extended family in Hatton. Jody's work in the Midlands, Essex, Kent, Surrey, Germany, Greece and Egypt, has featured in the local, national and international press.